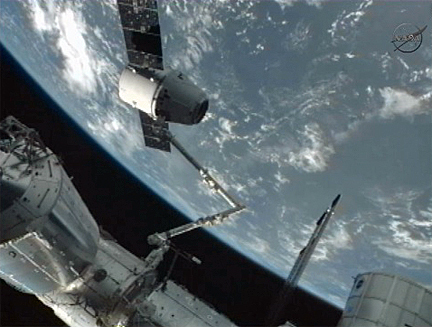 May 25th started with an historic moment for space flight. 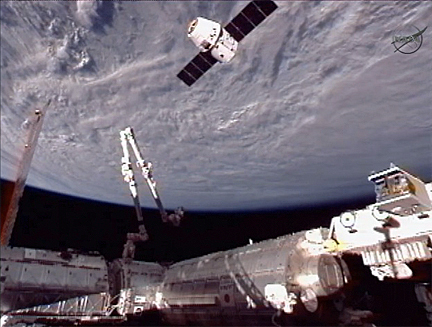 SpaceX’s Dragon capsule was the first commercially built vehicle to dock with the International Space Station (ISS). Assuming the mission completes successfully, with the capsule splashing back to earth loaded with cargo from the ISS, SpaceX will ferry much needed supplies and experiments to & from that floating station. 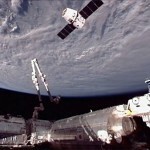 SpaceX, headed by Elon Musk (the same man behind Tesla), was the first company to send a rocket outside the earth’s atmosphere, requiring permission for vehicle re-entry. The Dragon capsule has been designed to eventually carry passengers although that’s a few years off. 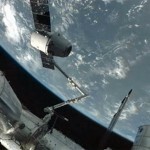 The software controlling the launch of the Falcon 9 rocket that carries Dragon into space is controlled by a version of LabView-a relatively inexpensive software package when compared to the supercomputers that were required to manage NASA’s vehicles. Many people mistakenly feared that NASA’s shutting down the shuttle flights meant the end of the US’s role in space exploration. It really was an acknowledgement of the capabilities of the commercial sector and the ability to shift more of the financial risk and responsibility to the private sector. Smaller and unburdened by legacy systems, these companies approach development in a manner used in most software firms. Ideas are quickly prototyped to test what does and does not work. It’s a faster, more nimble process than spacecraft design in the past. And, in the spirit of private enterprise, SpaceX has competition including (but not limited to) Blue Origin (started by Jeff Bezos), Sierra Nevada Corp and even Boeing. This is certainly the dawn of a new day and it will certainly be an interesting ride.